HP Inc.Antonio Lucio, HP’s chief marketing officer. The country is more divided than ever before, but big brands must stand for the basic human truths that unite people says Antonio Lucio, HP’s chief marketing officer. He says that marketers must not hesitate to take a stand in meaningful ways on social issues. We live in a polarised, political and fractured world. The Pew Research Center released a report in October that shows a nation more divided than at any other time in recent history. Polarization between parties across 10 key political values is at 36%, more than double the divide in 1994. Politicians may thrive on division and conflict to rally their bases. Big global brands cannot afford this. We earn our customer’s trust and loyalty every day. We must stand for those values that unite us. Prioritise people over political viewpoints. Encourage people to reconnect with friends and family. And search for common ground. Great brands can help create this understanding, playing a meaningful role in people’s lives. They stand for more than the products they sell and make a lasting impact on society. Great brands surprise us, inspire us, make us feel and always motivate us to act. Companies like Airbnb, Procter & Gamble and Patagonia have all shared an aspirational vision for the world. They have taken a stand in a meaningful way on social issues – something people now expect from their brands. 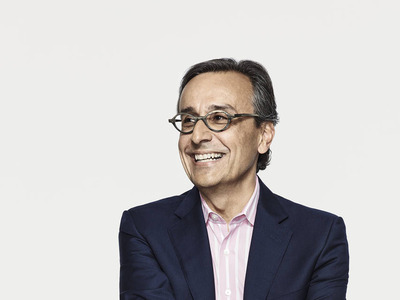 Antonio Lucio is the Chief Marketing & Communications Officer at HP Inc. As CMO, Antonio leads the global marketing organisation, including branding, demand generation, strategic events and global communications for one of the world’s most valuable brands.